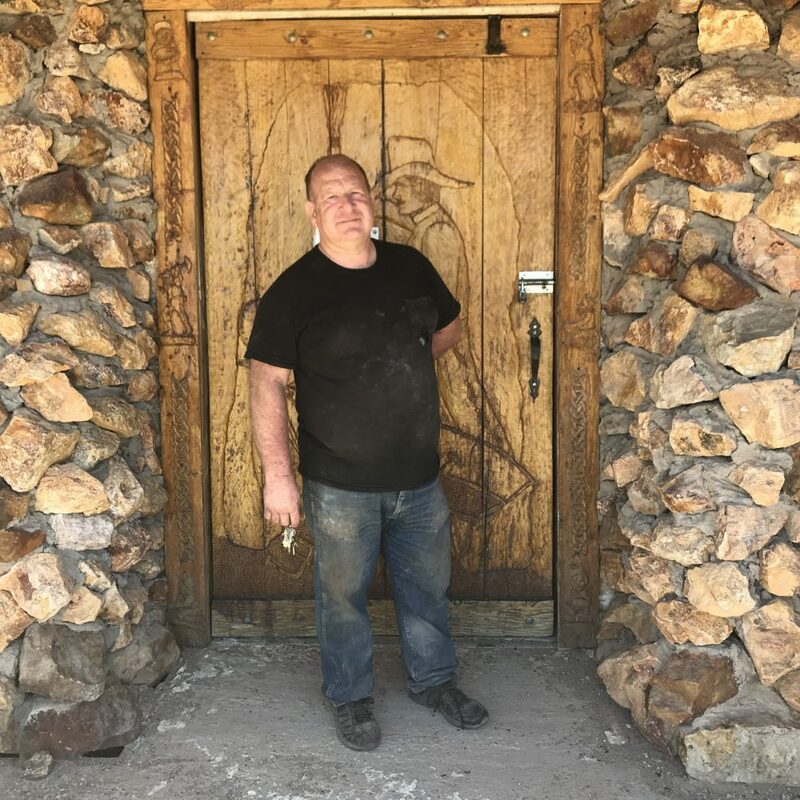 I visited Goldfield, Nevada twice this past week, stopping in each time to check on Bryan Smalley’s Hidden Treasure Trading Company. Byran continues to do fine things in Goldfield. Bryan runs one of the Southwest’s most interesting rock and gift shops. His rock shop complex encompasses three buildings; don’t leave until you look into all three. Bryan carries jewelry, much of it local, much made by himself, maps, books, cabs and slabs, and some rough. 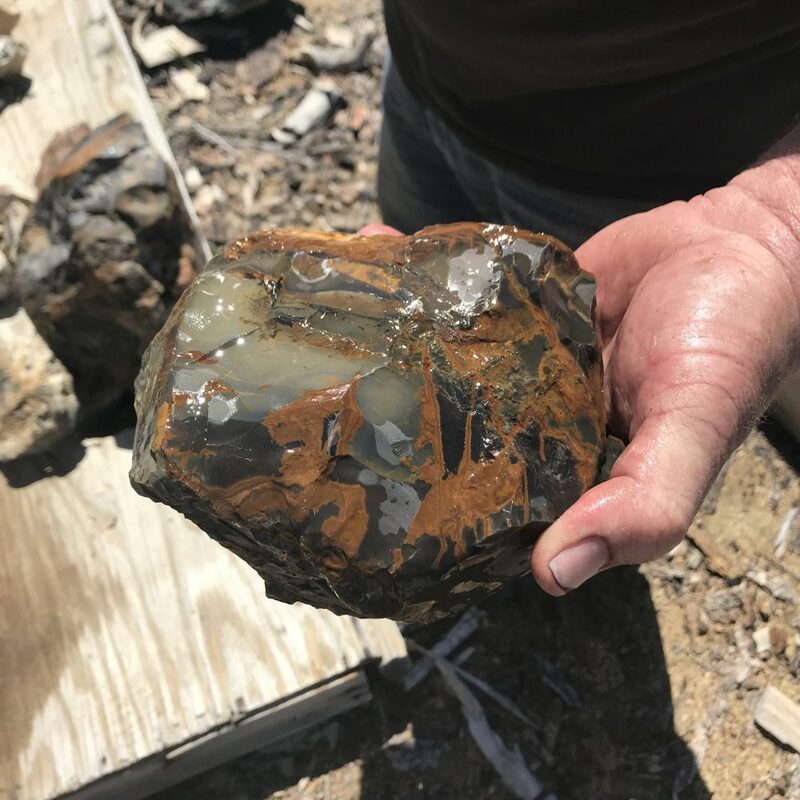 Check out this wonderful jasper he is now cutting. He has hundreds of pounds more. Bryan is expert on local rockhounding and accomplished at lapidary. He does knapping and can talk authoritatively on making flintlock strikers from locally collected chalcedony. Need advice on polishing? He has it. Ask locals where Bryan is if you can’t find him. Try the Dinky Diner. Goldfield citizens won’t mind you asking, in fact, they are very friendly. You should give a wave to people as you drive by. Don’t get discouraged if you can’t find his shops at first. Drive around. You’ll enjoy your time. 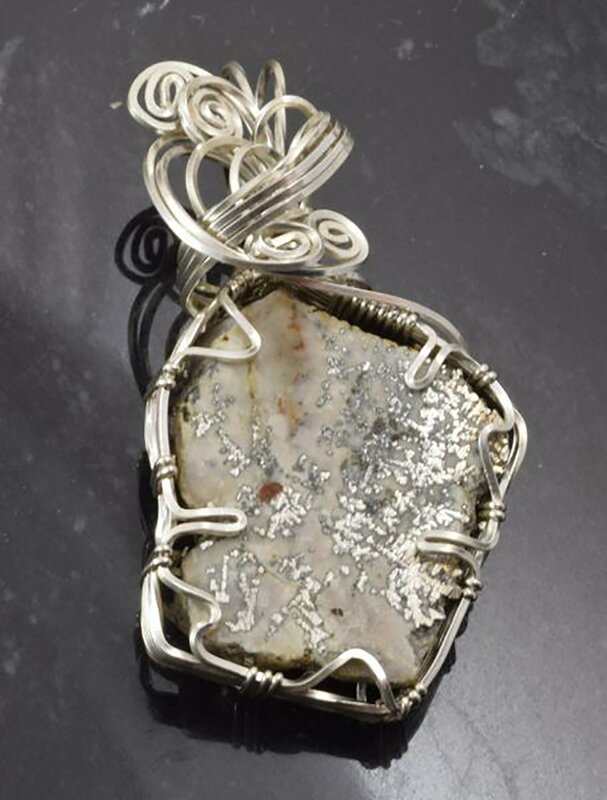 Bryan has a minimal web presence but he is busy with real life, finding rocks, cutting rocks, and making jewelry. When investigating the nearby Gemfield Gem claims, make plans to see him. Well worth the effort. Yes, he made that door himself. And the shop. Sharon Artlip has been in touch. 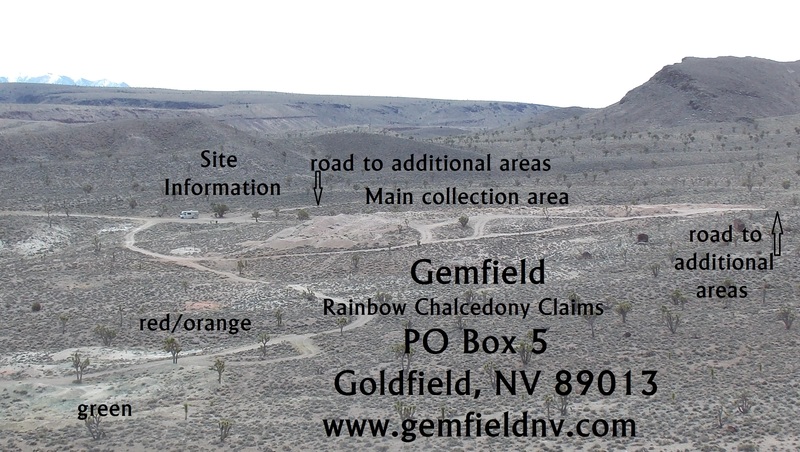 She and her sister Nadiah Beekum own the Gemfield Gem claims in Goldfield, Nevada. Rocks go for a dollar a pound. Everything is on the honor system. Register at one of several Goldfield businesses before going to the claim. Easy dirt road but not recommended for large RVs. Wild burro country. Antelope, too. 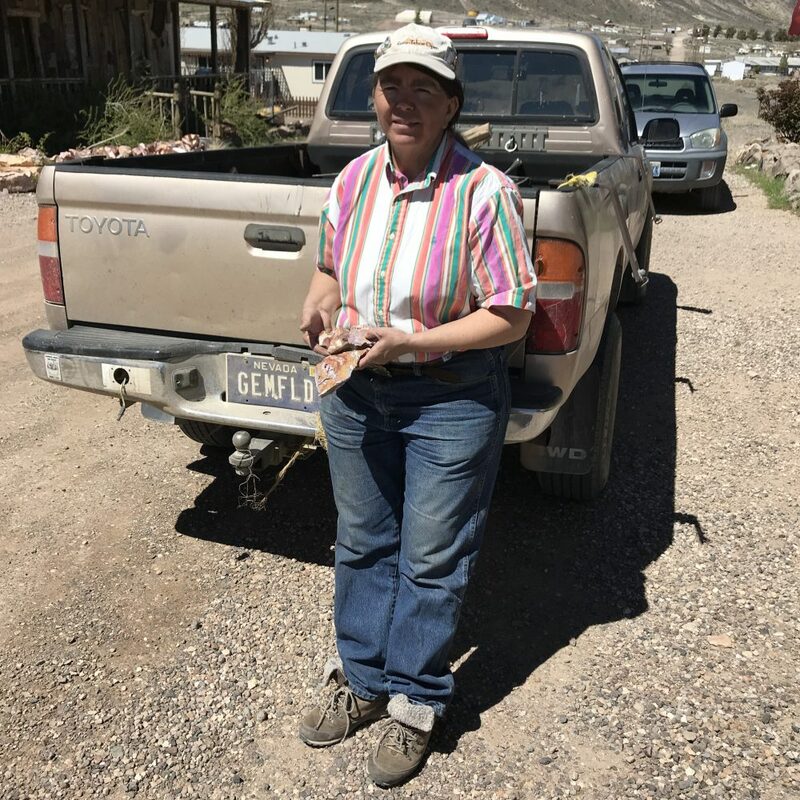 Sharon holding chalcedony in Goldfield, Nevada. She’s at Bryan Smalley’s Hidden Treasure Trading Company at 489 Bellevue Avenue. Notice her truck’s new personalized license plates. 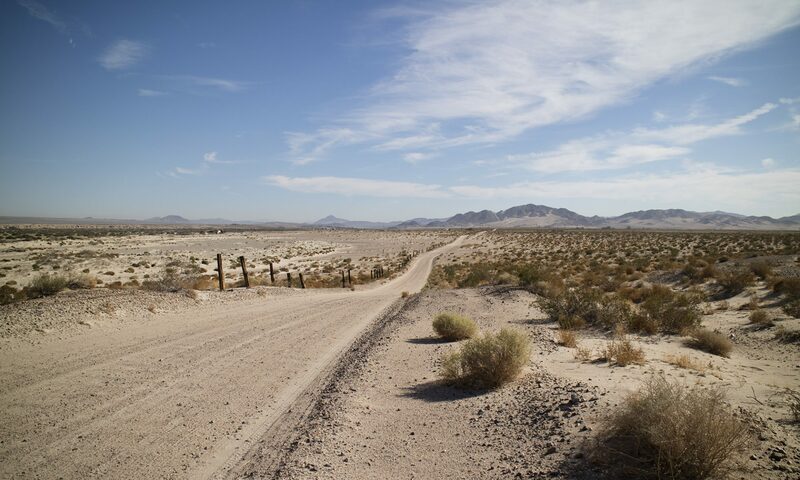 Stop in Ridgecrest whenever you’re in Southern California or traveling to nearby Death Valley. You may want one thing but you’ll carry out many more. She sells online, too, so check her website or give her a call. Make sure to phone before visiting in case she is out of town at a rock show. The Drill. 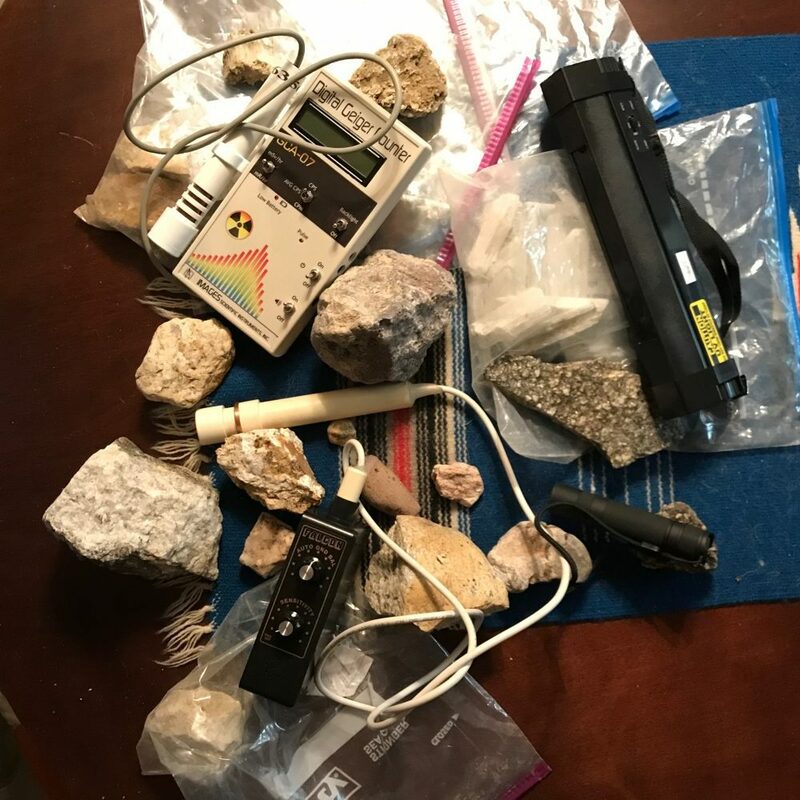 Checking my recent road trip finds with my Geiger counter, handheld metal detector, and my two UV lamps. Just to see if anything else is going on besides the reasons I originally picked them up. One piece under shortwave fluoresces a nice green. May have found some common opal. This was on my last stop, when I pulled off the highway on a whim to walk the desert floor. At first I thought it was an agate because one side displays a translucent quality along with a wavy banding. When I got home, though, with my tools, I remembered I had seen something like it. That piece matches the color, luster and the fluorescence of Arizona opal I recently got in trade from rock and mineral dealer Rolf Luetcke. Although simply white, the rock comes alive under shortwave UV. Not the intensity or brightness of Rolf’s piece, that material is top-notch, but the exact same color under the lamp. Update: Not opal. A steel nail doesn’t scratch it, but a nail scratches the opal Rolf supplied. The piece must be chalcedony or agate, or whatever you want to call cryptocrystalline quartz. Hmm. What are the odds that I would find something that looks exactly like something else and fluoresces just like it as well. At least I know a place to search for fluorescent agates. The agates I have don’t fluoresce, certainly nothing green. 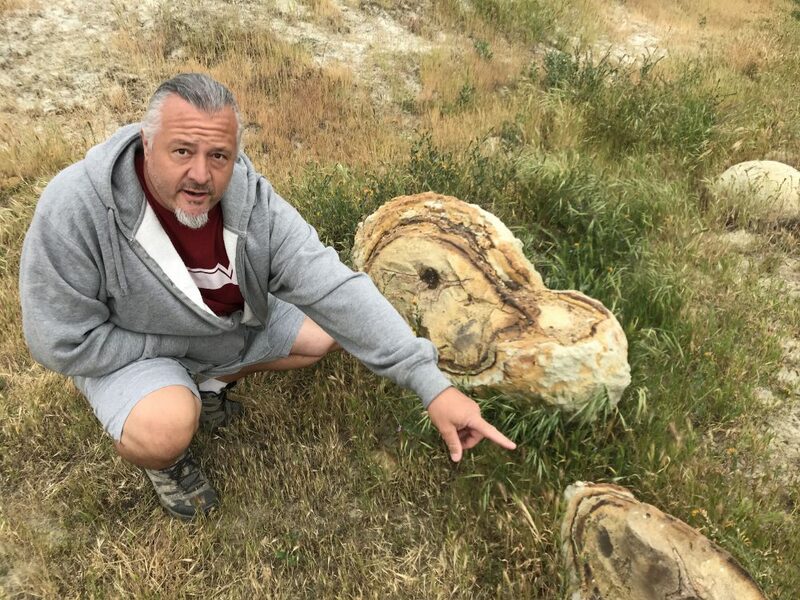 Rob Ernst explains large concretions at a one-of-a-kind fee dig in Southern California. These large specimens are retained for education and scientific research, however, one can keep nearly anything dug up in a designated area. 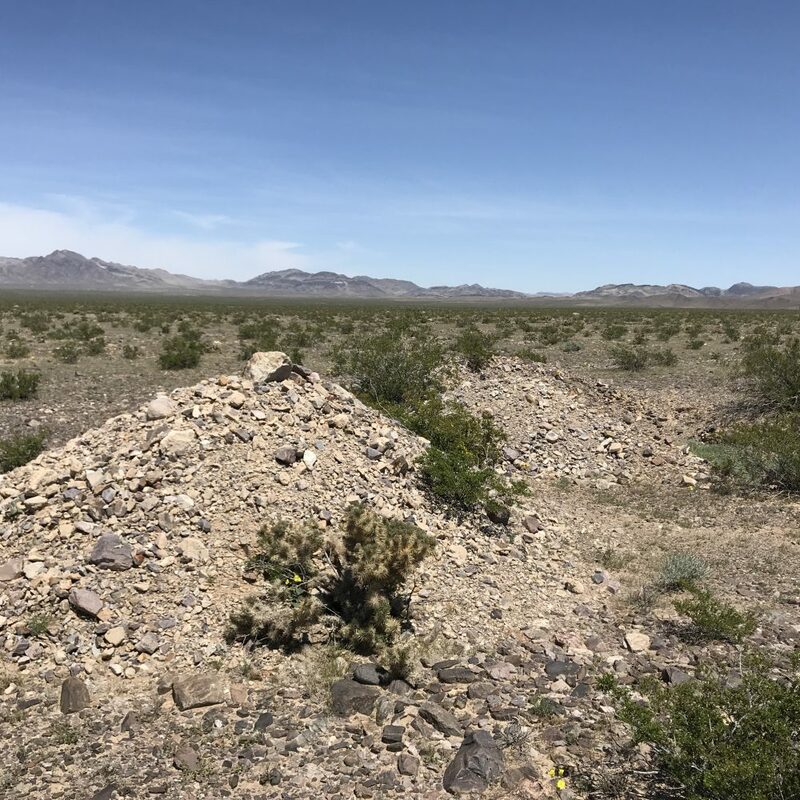 For a limited time each year, the Ernst Quarries near Bakersfield opens much of their ground to the public to collect marine fossils. Shark teeth are the big draw. Rob will patiently and enthusiastically explain the ocean environment that was present 150 million years ago. Tiny to small shark teeth are everywhere, they can even be found on the surface. Digging and screening with persistence will reveal bigger teeth on most days. I got to the Quarries on a day threatening rain. Weather can knock out a dig day when the final stretch of quarry road becomes impassable. Depending on conditions, Rob may arrange for people to walk a few hundred yards from their cars to the dig sites, rather than cancel a date. Rob is keenly aware that people from as far as back East make flight plans, car rentals, and hotel reservations to get to his property. He does everything he can to make dig days happen. Visitors can help by reading the information packet sent to them by e-mail and by printing out the location map and release form ahead of time. As of right now, there is a road repair project happening on Round Mountain Road with traffic control in effect. In leaving the property, wait for a pilot vehicle before turning onto the road, otherwise, you may wind up facing a line of traffic coming directly at you in the opposite direction. The image below show a tooth in matrix, the species I do not know. I think this looks better than a tooth alone. Be careful in digging. The silt will now have to be stabilized first, perhaps with a diluted solution of Elmer’s white glue and water. Rob can explain how to do this. I knew nothing about marine fossils when I went and my trip opened my eyes into another world of collecting. 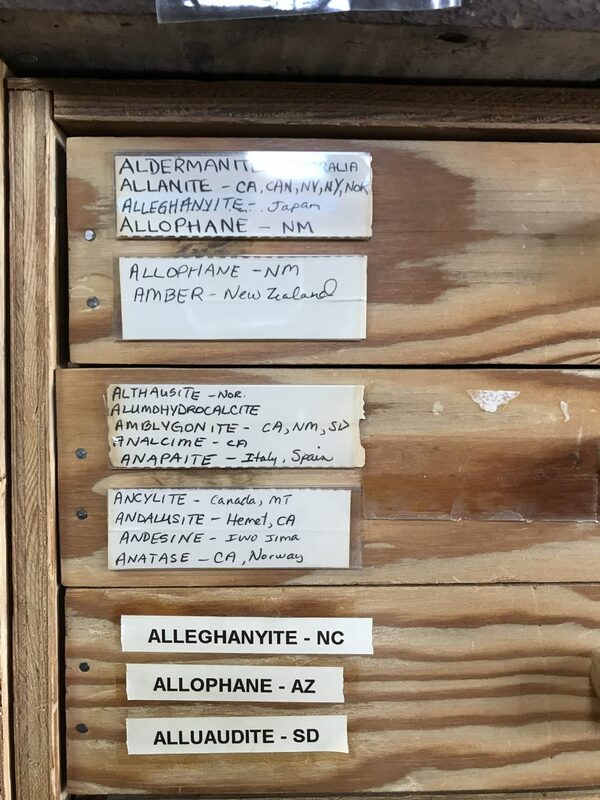 Fossil collectors are as rabid as rockhounds are about their pursuit. If you are lucky and put in the hours, you might have a chance at finding something like the tooth below. This dig is highly recommended and I wish you luck if you go. The shark teeth pictured below were gathered by surface collecting over no more than fifteen minutes of off and on looking. The white teeth and fragments show bleaching caused by lying on top of the ground. The teeth with more color were pulled from the ground as these show indications on the surface of where some teeth are. I’d say your chances of finding something better over a period of a few hours of actual digging and screening are pretty good. Note the nice little one in the shadow. Make sure to look for other things. 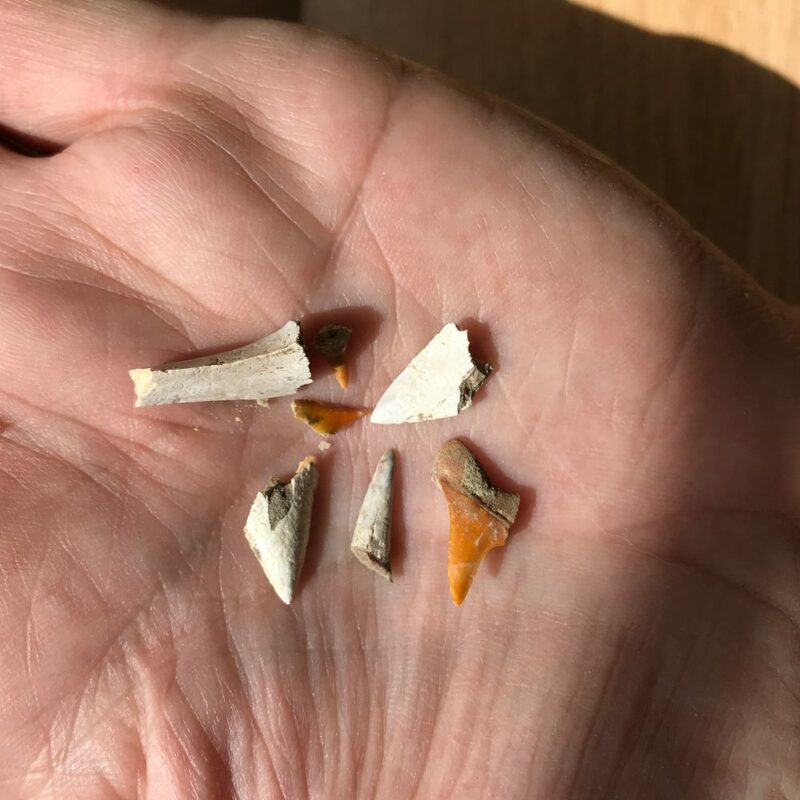 Jeff spotted these two vertebrae pieces lying on the ground of a trench. Although identification is often impossible for vertebrae of this period, he thinks they may be from a junior whale or a sea lion. Perhaps. 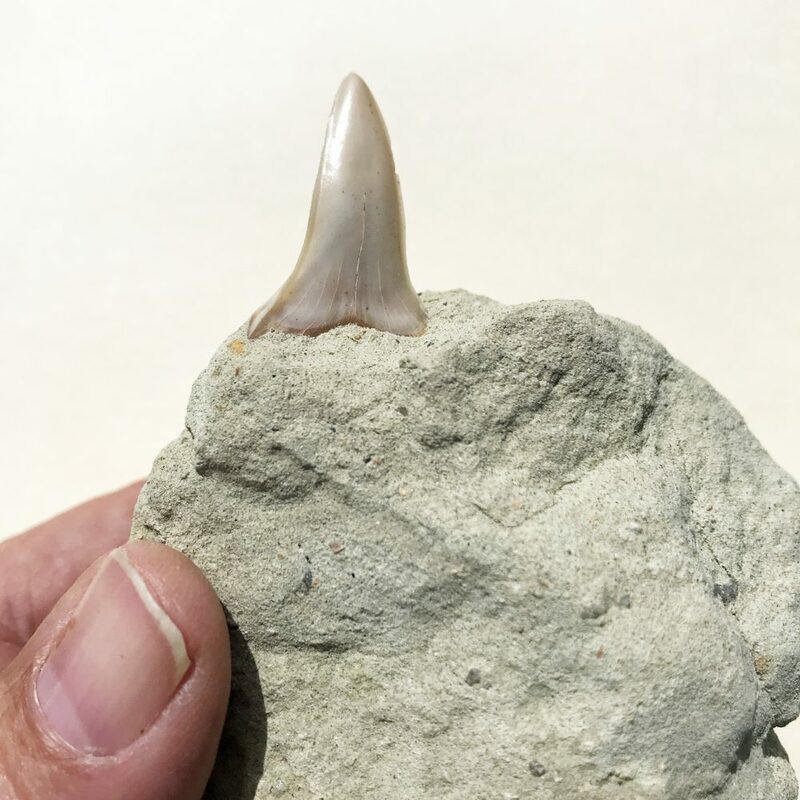 He also says that upon close examination of fossils like these, most show tooth marks, evidence of the food chain in action from long ago. Few things died a natural death of old age. 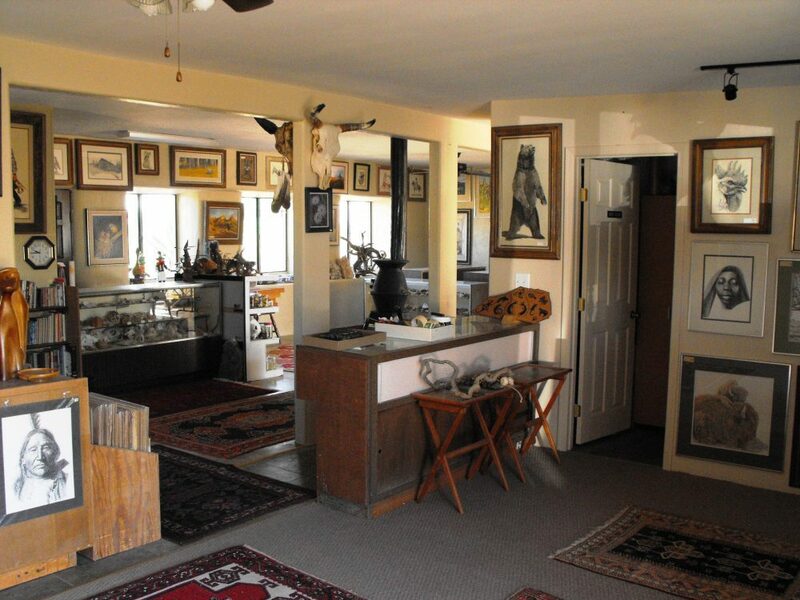 An upcoming road trip will take me to Boron, California to stop in at Desert Treasures, if they are open. On the outskirts of Boron, the Rio Tinto Borax Mine Visitor Center is next and then on to Barstow to visit the Desert Discovery Center to view The Old Woman Meteorite. Then over the Tehacapi Pass to Bakersfield. 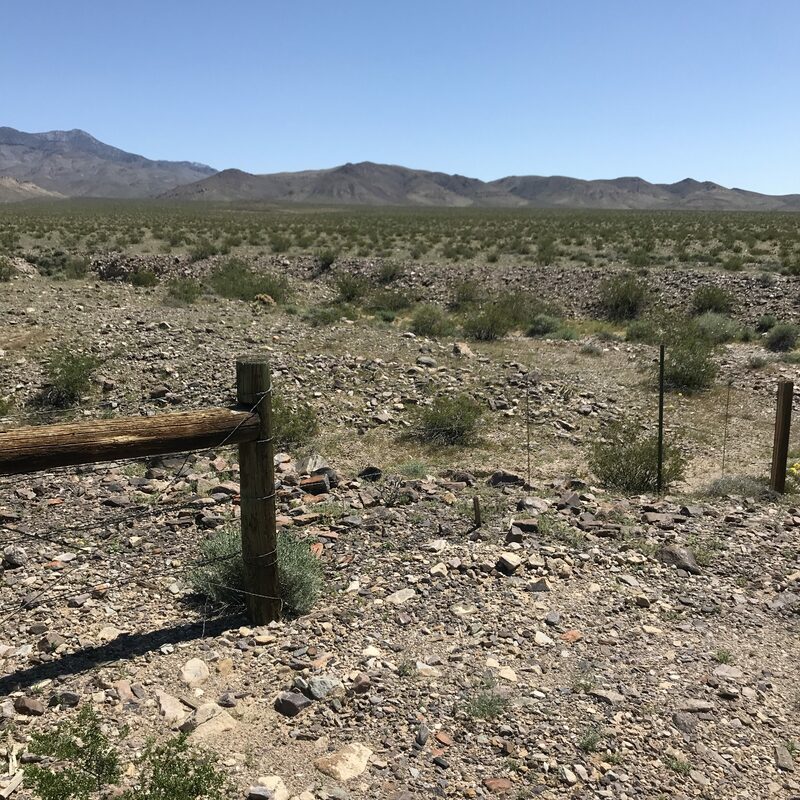 Next day to Shark Tooth Hill and The Ernst Quarries, next to Randsburg, and then on to Ridgecrest to visit Minerals Unlimited. North after that to Death Valley, then east to Beatty, and then a drop back down to Las Vegas. I will be posting photos along the way if I have cell coverage. If you are not on Instagram, consider joining. It’s all about the gram. A Destination Rock Shop Opens in Arizona! Rolf and Mary Luetcke are back in business, after a five year hiatus. 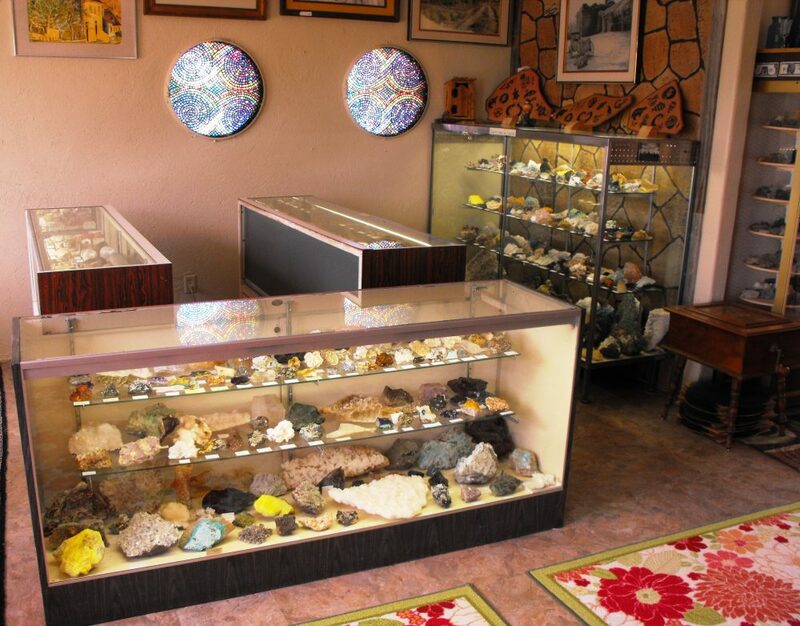 The store was open as a rock, gift, jewelry and art store for over 23 years in southeast Arizona. Located only three miles from Benson, Arizona on Highway 80 on the way to Tombstone. 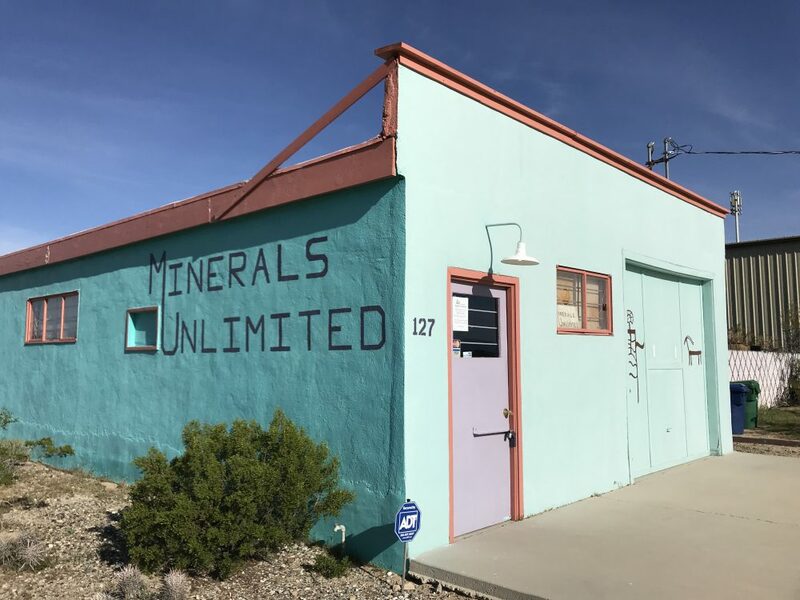 Being in the mineral business for almost fifty years, stock on hand is in a few thousand flats of minerals and piles of outside material for collectors and cutters alike. The store also houses a number of museum displays of natural history items, which are not for sale and a small black light room with colorful minerals under UV lights. 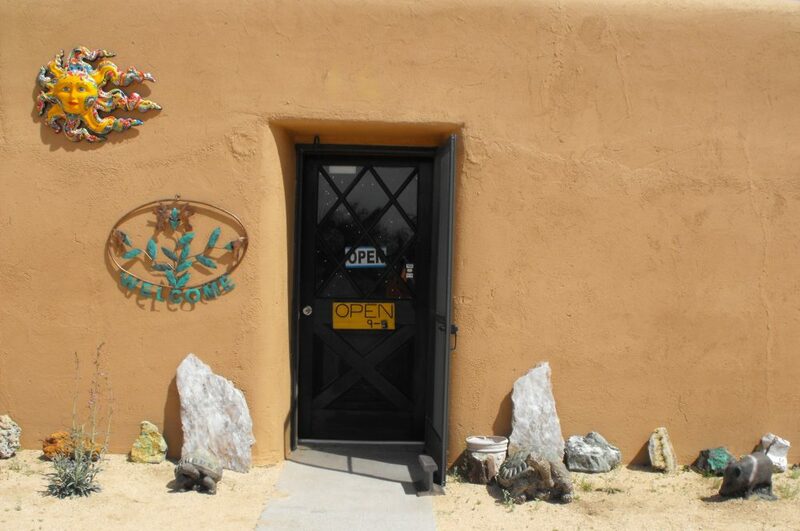 If you plan a trip to Southeastern Arizona, stop in and say Hello. We had a shop for 23 years before we retired for a while and reopened only last year. Over the years we accumulated a few thousand flats of material and so far have priced and labeled over two thousand flats and more still in several sheds to do. After 50 years of collecting have a ton of material to sell as we go. How did this all get started? Well, I have been a collector as far back as I remember. As a kid in Germany I picked up fossil crinoids in my grandmothers’ back yard area where they had brought in a load of crushed rock. As a child I collected butterflies, lizards, snakes and about anything critter. I did photography for years and worked at a zoo and ran a nature class. I got into rocks because a fellow I knew in about 1972 in Bisbee was going to a small rock shop in Mexico. The fellow who ran the rock shop was an old gentleman who reminded me of my grandfather. 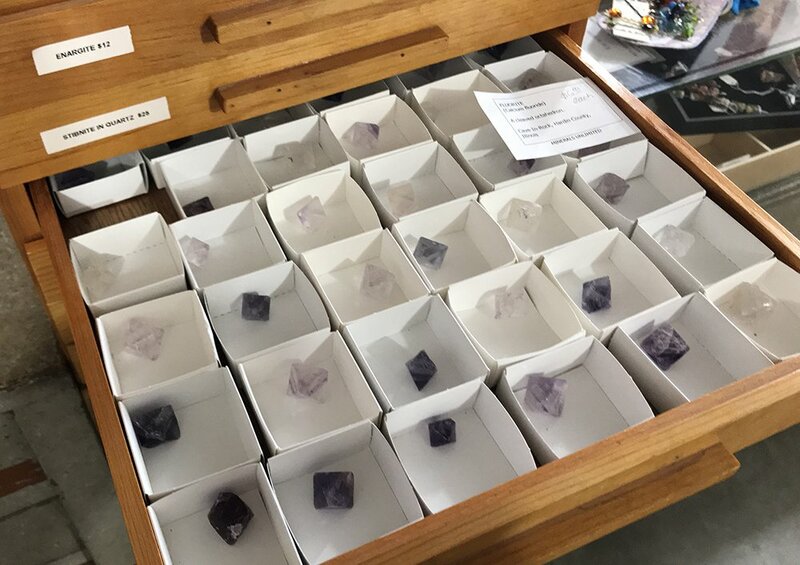 He sold mineral specimens and I had no idea what they were. In his yard he had piles of minerals, mostly discards he tossed out when he got a new batch of minerals. My friend happened to see this one pile and since I ran the nature class and was looking for things to give the kids, he thought I could get those piles for next to nothing. I asked the old gentleman what he wanted for the one pile and he said $40. I got a bunch of boxes and loaded my station wagon. Turned out to be a thousand pounds of minerals. Tons of different kinds of things, copper, black tourmaline and a large number of other minerals. I ended up buying three piles, each about a thousand pounds and each pile a few bucks more. All three about $150. I didn’t know what they were and luckily I had met the geologist for the Bisbee mines. He helped me with identifications and suggestions of books and such. That got me going and I ran with it. Started buying a reference collection at various sales and at the Tucson show. Ended up pretty much learning all I now know just by doing. Got pretty good at it and then about ten years later, started the rock shop we had. Just kept soaking up knowledge like a sponge and I guess after about 50 years, know a thing or two about minerals. I have also written over 50 articles on my Mindat.org page so did a good bit of writing too. Also wrote sci-fi stories and much more. Now I do articles for an online Australian mineral magazine. My interest in all of nature has not changed but my main focus is on minerals now. As for the shop, you can list address and phone number if you like. Number is 520 586-4560. We are open most of the time since we live on 5 acres and one building is the store and one our mobile home. So, hours are open most of the time unless the gate is locked. Today was a busy day in the store so had to stop often to go and wait on customers. We are not at the store all day but live right by it so when the buzzer says someone drove in I go over. Generally open from 9 to 5 in winter and 9 to 6 in summer. I am a person who likes doing something most of the time so keep busy with all kinds of things. Don’t know what the word bored means. Well, that is a bit about us here. Hope it gives a bit of info. 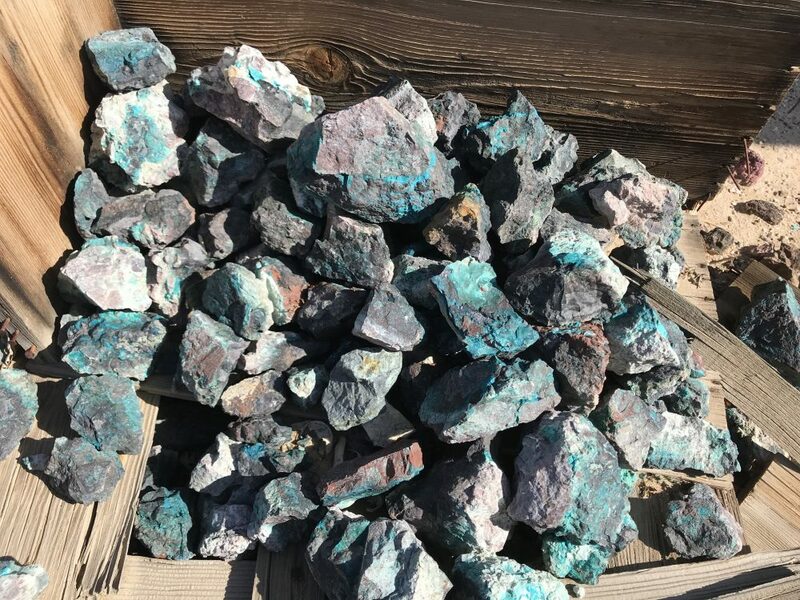 I did write up the one story I told you about getting started with minerals on the Mindat.org article Mexican Rock Shop. That was one great way to start with minerals. 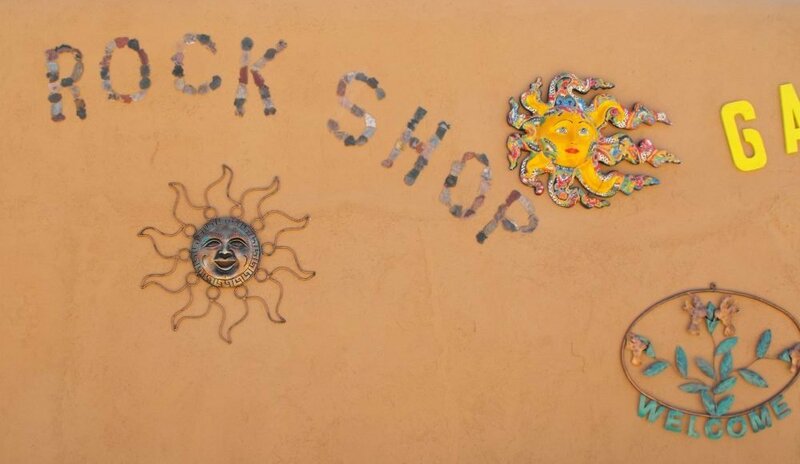 This morning my project was to put the Rock Shop sign on the front of our place. Had picked out a bunch of the smaller slabs we had in boxes to use for the letters and made the words in the house and then took each letter out on a beer flat and then used hot glue to mount the letters on the wall. So, that was our morning project. Keep That Spray Bottle Handy! 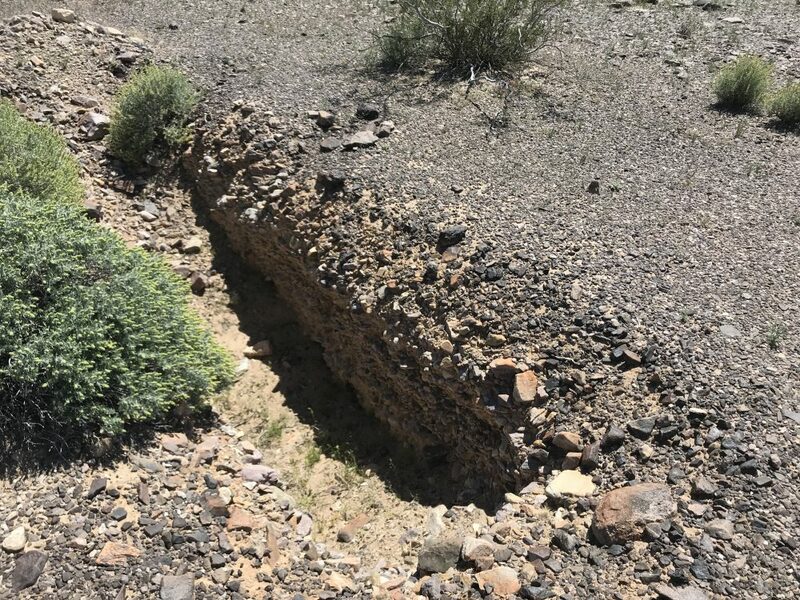 Found this crazy looking piece on or near the east border of Gold Butte National Monument in Nevada, where limited, non-commercial collecting is allowed. 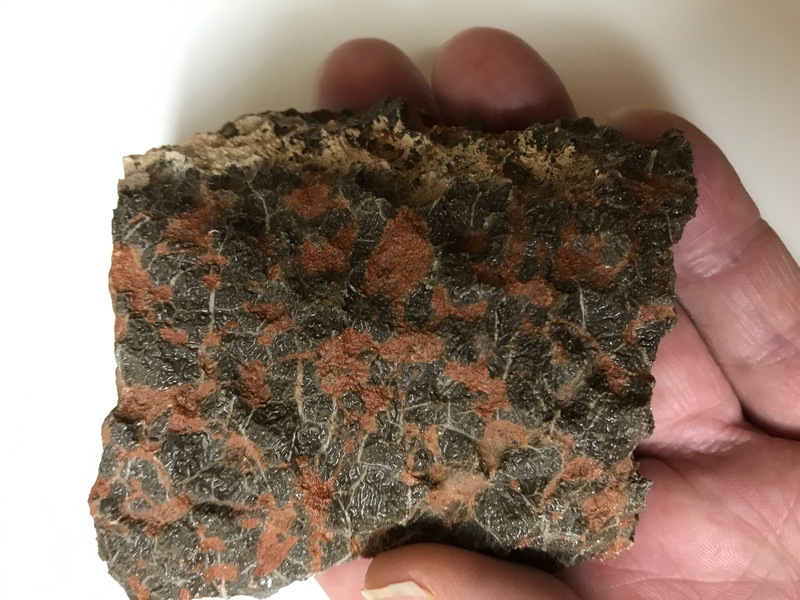 In response to the photos I posted to Facebook, Joel Coombs on The Rockhound Connection responded, “I believe that rock is slightly metamorphosed limestone. I have found smaller pieces with the same colors. Put a drop of pool acid on it. If it effervesces it is limestone.” I did put some acid on the back of the rock and it did indeed fizzle. 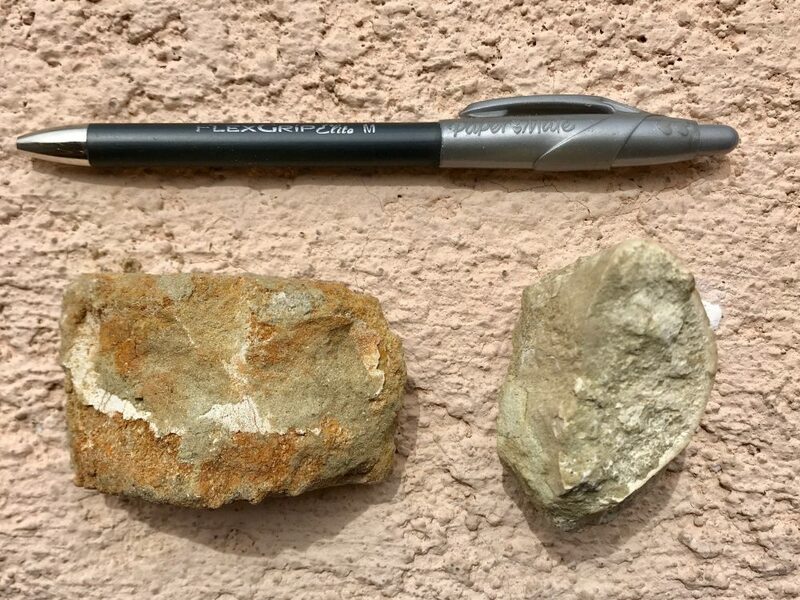 This all agrees with Jim Boone’s identification of plain looking limestone in the same location. 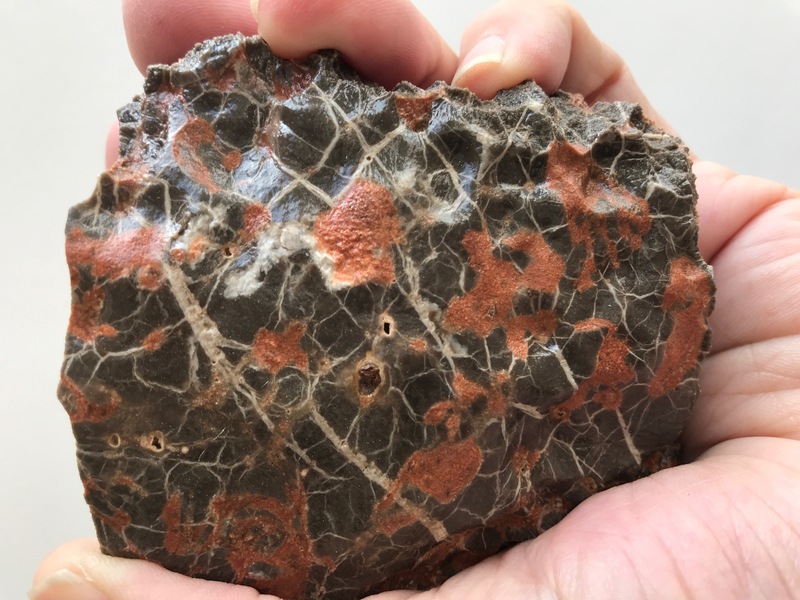 I found it on the side of the road, a dusty and dirty rock but one showing interesting markings. My spray bottle revealed what I thought might be great material for a cab or a slab. (If I wanted to do that since I rarely get around to lapidary.) 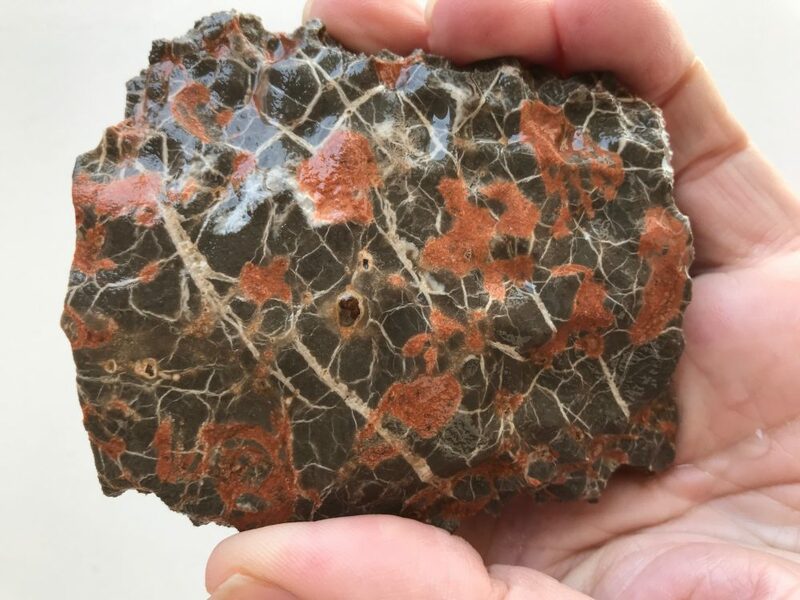 A friend pointed out, though, that the red areas were rusty splotches, possibly iron or hematite related and that being soft would not easily cab up. Something like Superglue might be applied to those areas, then the whole piece sanded later on. I decided to keep it as it was. A former rock shop owner suggested clear glossy spray lacquer which could always be sanded off later. The first picture is of the rock wet, the second is after three coats of spray, now dry. The third picture is of the untreated back. Given the ease of effort, I think the spray worked out well for this particular rock.